Food For Joy! Udupi's Samaradhane Saaru (Togaribele Saaru) - Food For Joy! No visit to my homestead at Udupi is complete without visiting the Krishna Temple. This temple being one of its kinds, I feel the positive semblance when I just step into the premises and walk through the temple square. This place has the aura to reenergize my senses and calm the mind in the midst of all anxieties. The Vedic chants that could be heard inside the temple will make you feel rejuvenated and fresh. The smell of dung takes me back to the good old days. To make it short, I will fail if I try to project the magic of this place in words. 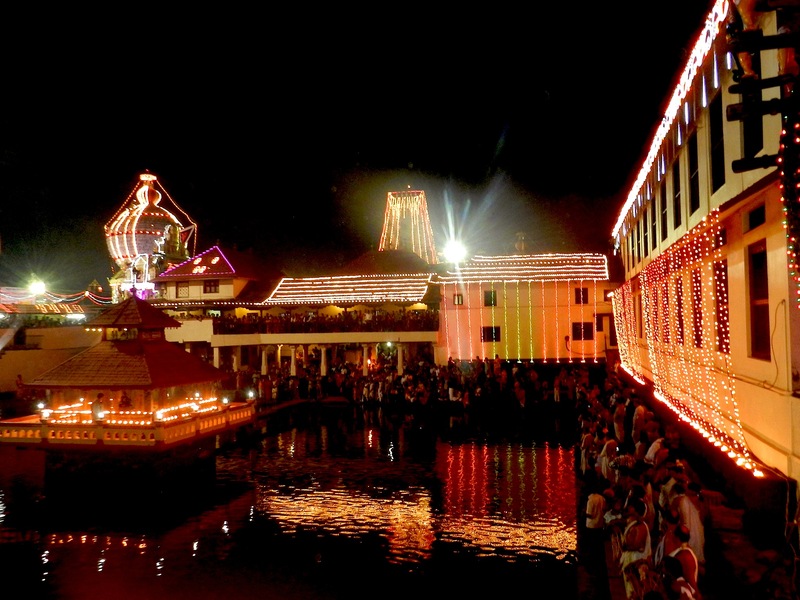 Udupi is a place, cherished by me all the time. May be because my wedding took place here, my parents and sister were born here, or it could be because I can feel my late mother’s presence here, I’m not quite absolutely sure. But a visit to this place stirs a lot of emotions and memories for me. Down the memory lane, I hardly remember myself delighting in food that was cooked at home. Just like any other kid, it was a tough task for me to feed on those vegetables! I used to run away from radishes, leafy veggies, eggplants or the cucumbers. I wasn’t a fan of the rasam / saaru either. Milk was my foe! On the contrary, sweets were on top of the list during those days. I would gorge on anything that would taste sweet. Payasams given to me were finished in no time. As a young girl, my capacity for eating sweets was profoundly enormous. Fast forwarding to the present, I see myself feeding on every vegetable I used to run away from. I even enjoy the raw raddish slices that come in salads. ☺ The one I really enjoy is the Rasam accompanied with a Palya (Stir-fried vegetable) rounded up with curd rice. This change however came, when I started appreciating food and cooking. Till then, I was blind to what went into my platter. 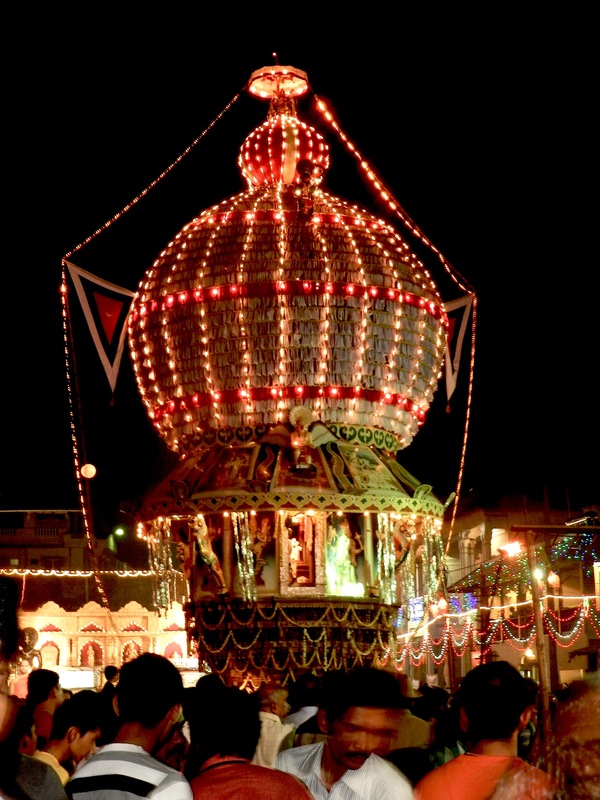 Speaking of Udupi and the temple, I will have to add about the food served in the temple. 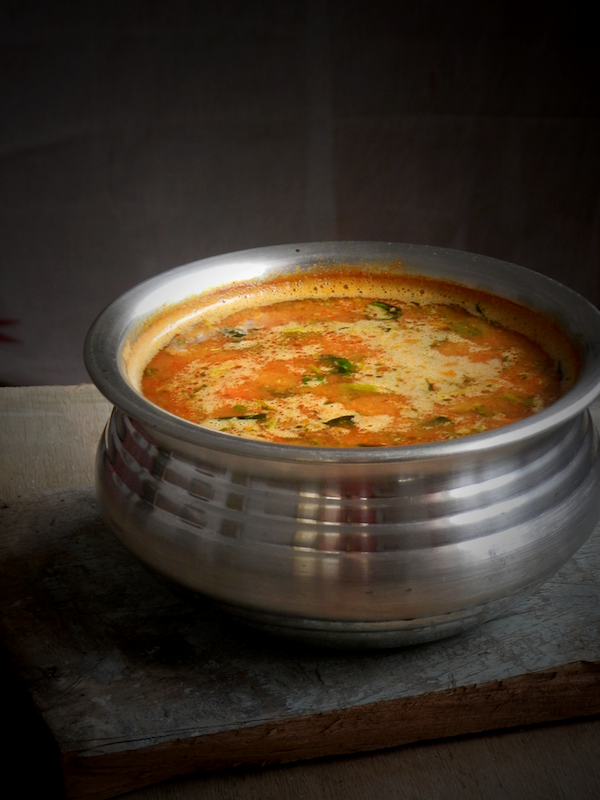 From ages people here have been feeding on rice – rasam / saaru with a vegetable called palya and then the rice – sambhar / koddel followed by curd – rice. This meal is generally accompanied with a sweet. 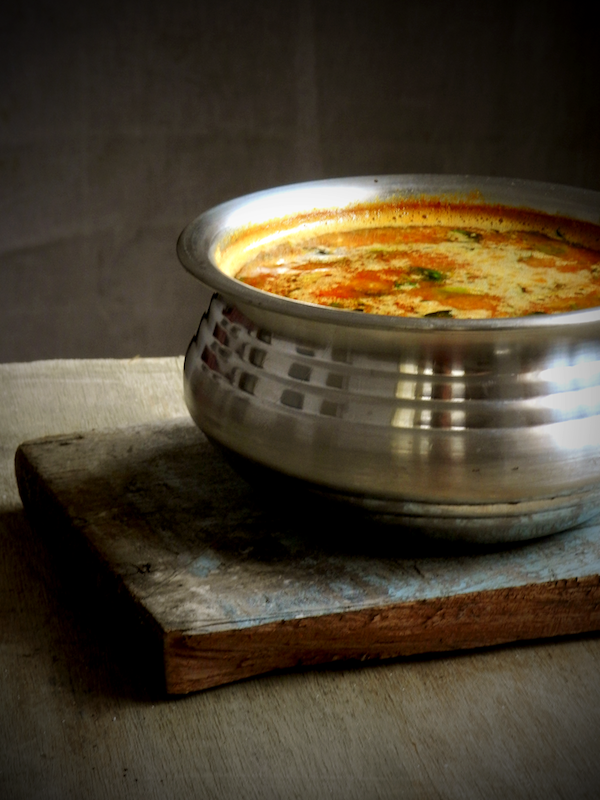 On occasions, the meal starts with rice served with tovve (dal) followed by thambulis, rasam, two or three variatons of sambhar (curry), which would be accompanied with types of kosambris and palyas, then again followed by menaskayi and a medley of sweets and savouries that includes payasams, holiges and deep fried stuff! The meals are finally rounded off with curd-rice and buttermilk. The secret behind any kind of food cooked in this coastal city is the addition Jaggery / Molasses. Most cooks refrain from using Jaggery in food, but fail to realize that a small addition of this sweetener can enhance and balance all the major flavors emerging from the dish. Jaggery is used extensively in coastal food. The quantity of usage is of-course a choice. Too much of it will spoil your food. Too less of it might not give the dish the required balance of flavors. According to our elders, the climate of the Udupi – Mangalore region makes one perspire profusely making it tiresome for a working life. Jaggery replenishes the lost energy and contributes towards the iron supply for the human constitution. It is a simple phenomenon that has been adopted since ages. 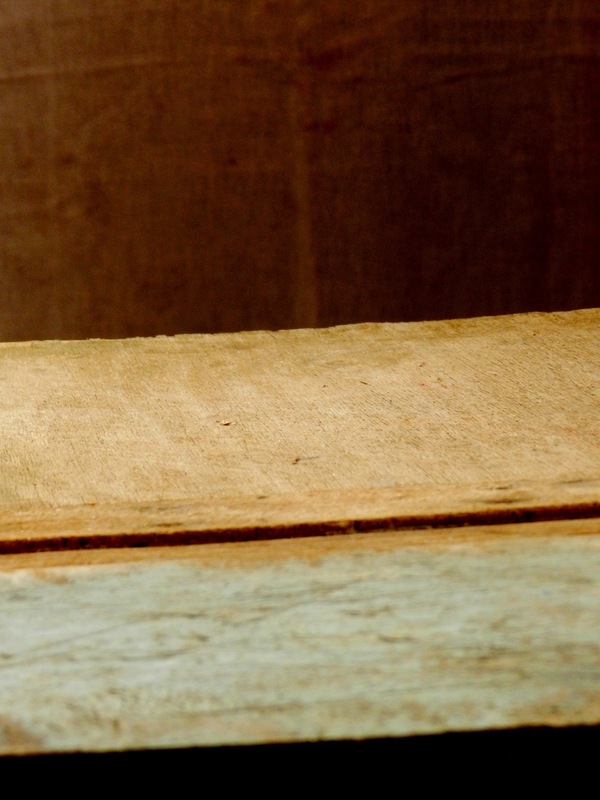 My reads also mention, during the olden days, guests who would arrive home from different places were welcomed with a nugget of Jaggery and water just to help them get back their original state. I’ve had many recipe requests for the Udupi Saaru coming from readers since two years. I’ve come to realize that I’ve been unnecessarily postponing this particular write – up on the blog. 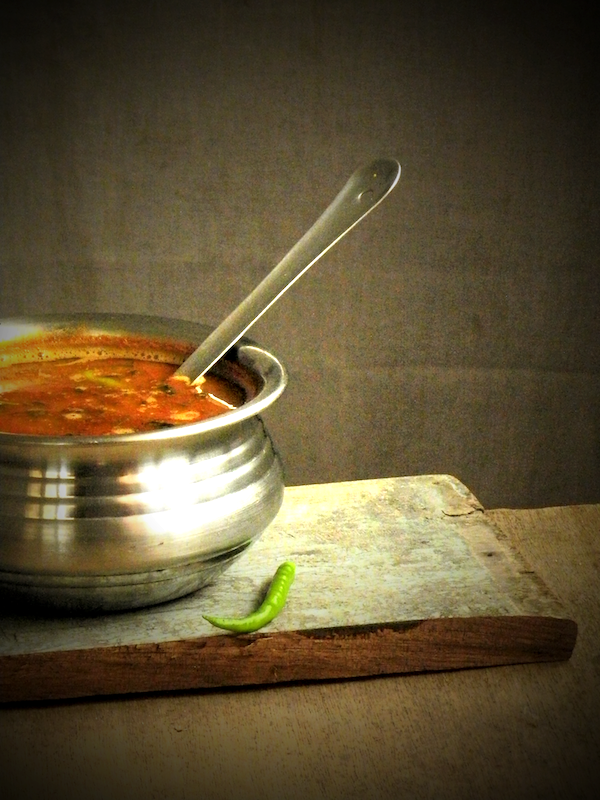 Though my husband hails from the Mandya / Mysore region, he has enormous love towards this tangy rasam. He has expressed his displeasure several times that I haven’t cooked or written about many of the traditional recipes viz. Menaskayi, Pathrode, Variety of Thambulis or Pelakai Gatti. 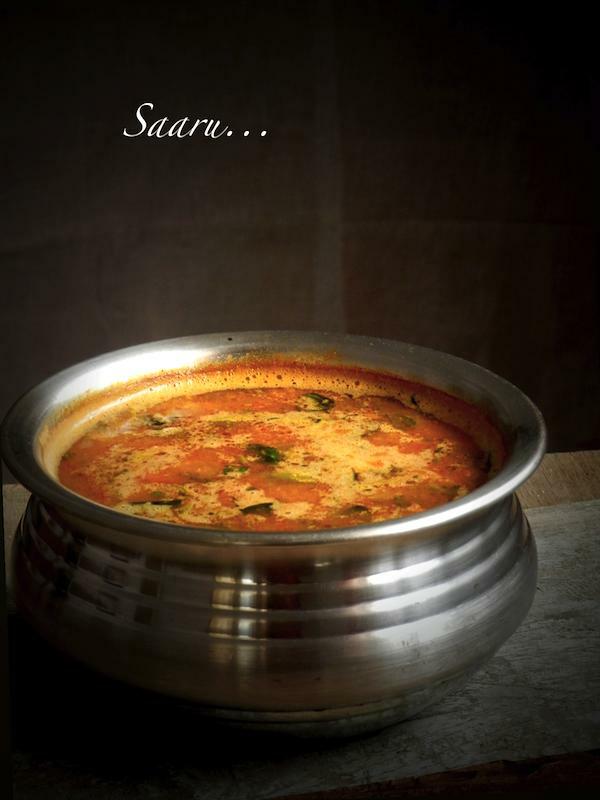 If you cook this rasam (Saaru) regularly then you can use these given proportions. Else you can halve the ingredients and try out first. I suggest you to buy good quality, hot red chillies which is the most prime ingredient for the powder. PS: Pardon me for the absence of step wise pictures. I had clicked these way too long back. I shall click the step wise pictures the next time I prepare. Step 1: In a heavy bottom wok, On a low heat, add 10 ml of coconut oil. Let it heat. Add in the dry red chillies and roast them till they start leaving out an aroma. Remove and Keep this aside. Step 2: Into the same wok, Add another 10ml of oil. Roast the coriander seeds until it starts leaving out an aroma. Step 3: Perform the same steps for the rest of the ingredients by adding 10 ml of oil for each. Step 4: Let all the ingredients cool down. Once cools, blend the ingredients altogether in a blender until powdered. Your rasam powder is ready for use. Step 1: Drain the water that the dal was soaking in. 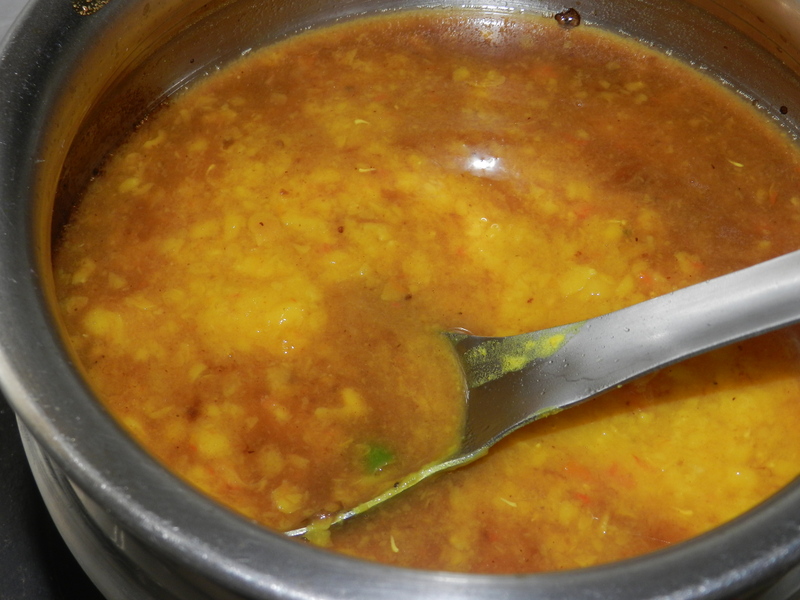 In a pressure cooker, add the dal and a cup and a half of water and cook until 3-4 whistles. (Depends on your pressure cooker). Keep the cooked dal aside. Step 2: In a heavy bottomed vessel, extract the tamarind pulp and add in the green chilly, jaggery and turmeric powder. Step 3: Bring this to a boil. Let it boil for ten minutes until all the raw odour of the tamarind goes away. Step 4: Add in the cooked dal and chopped tomato. Bring it to a boil. 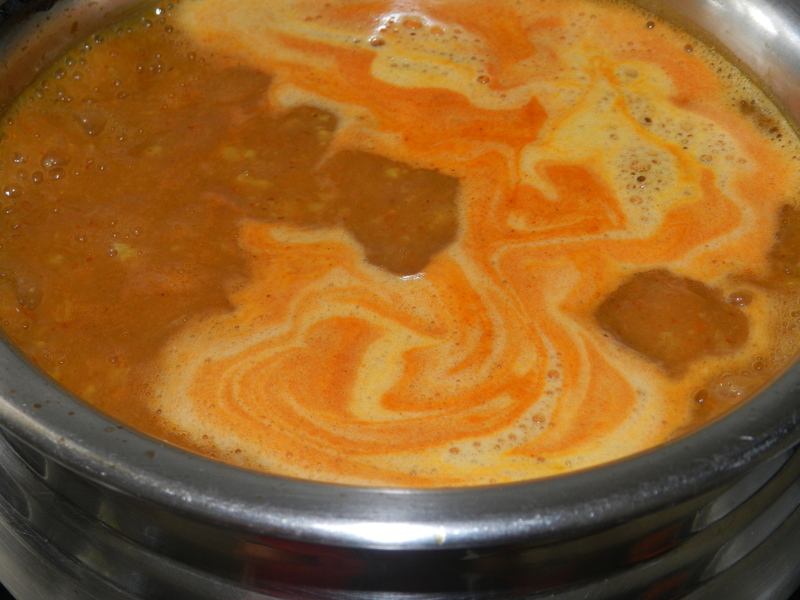 Step 5: Add 3 or 3.5 tsp of Rasam Powder you just prepared and bring everything to a rolling boil for 10 -15 minutes. Shut with a lid leaving a slight opening for air to pass. 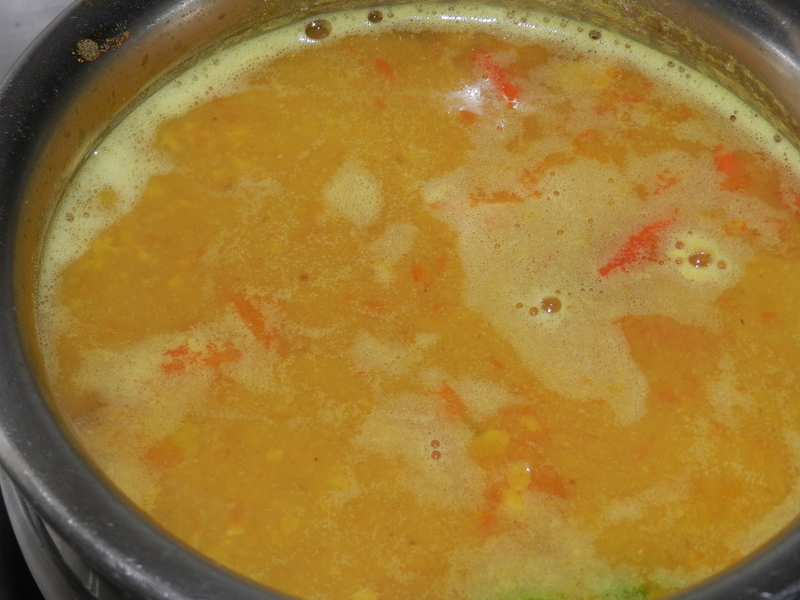 The more you boil the rasam, the better. Step 6: Add in the coriander leaves and turn off the heat. Step 7: Prepare the tempering. In a small wok, heat oil and add in the mustard seeds. Allow it to stop popping, turn off the heat and then add in the curry leaves and Asafetida (Hing). Add this tempering to the Saaru (Rasam). 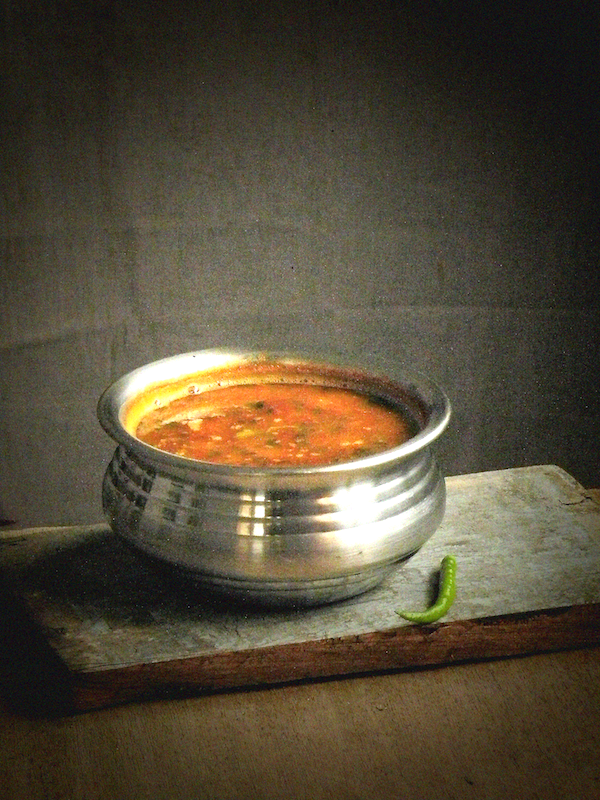 Step 8: Rasam to be served hot with rice and a dollop of ghee accompanied with any dry vegetable. Sure. Will post a recipe. Thank you Prathibha. I was craving for Brahmin’s saaru. It came out so well, remembered the childhood memories of eating in Math. Thank you Reema. I’m so glad this turned out good. Feedbacks gives me immense happiness. :) Thanks again. 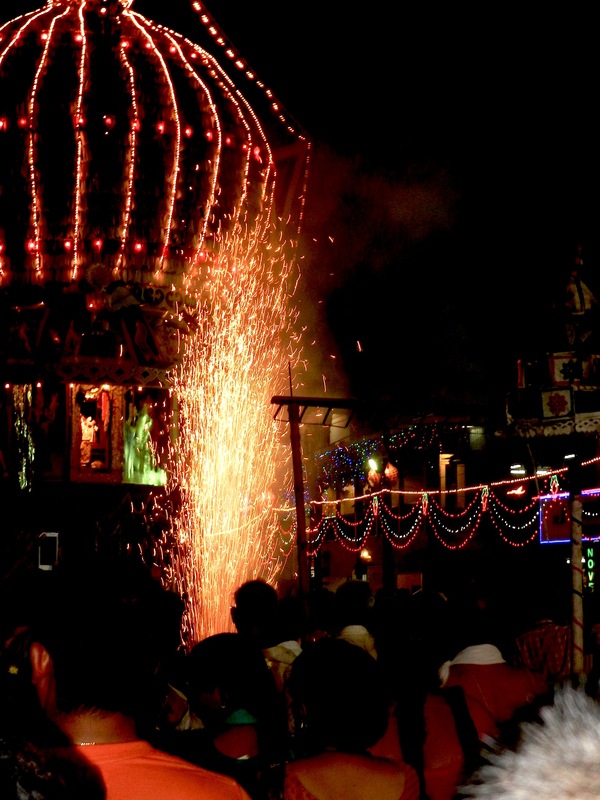 Udupi Shri Krishna Temple prohibits use or tomato in any cooking as per shivalli tradition. In saaru tomato is never used. 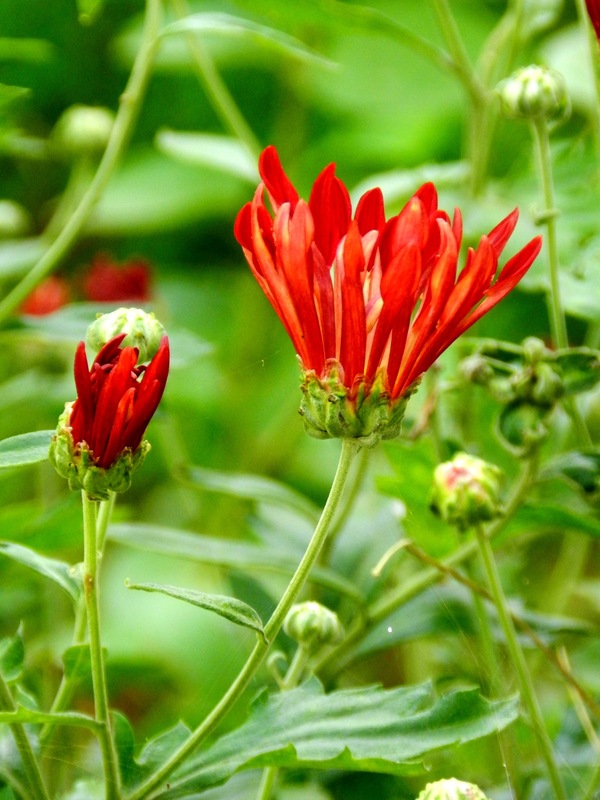 @Janardhana Bhat: Yes it was prohibited by ancestors in the temple as it was not an Indian Origin Vegetable. We use tomatoes at households for added flavour. Have you checked the saaru powder with some roasted chana daal (a spoon roasted coconut:optional)and some roasted urad dal at the end with just one wiz it will give a nice aroma and consistency. 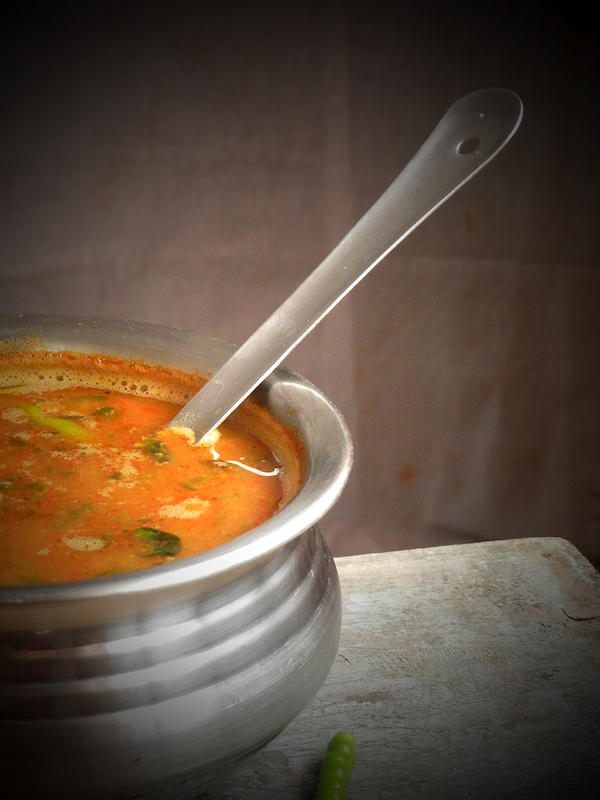 Very nice rasam.l am very fond of udupi rasam.is it necessary to add tomatoes to get the taste? Dear Lakshmi, yes it is necessary to add tomatoes. I just made the saaru and it is awesome Pratibha..thanks a ton..
At what stage you add tomato? Chopped or full? Hi, Thanks for pointing out. I missed the ingredient. 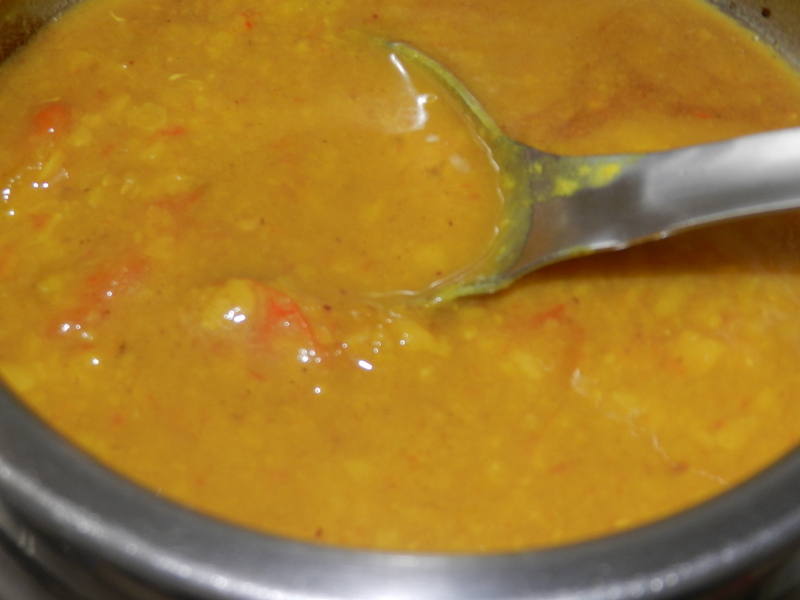 You need to add chopped tomato at the fourth step while adding cooked dal. Shridhar, Kindly go through the above recipe. 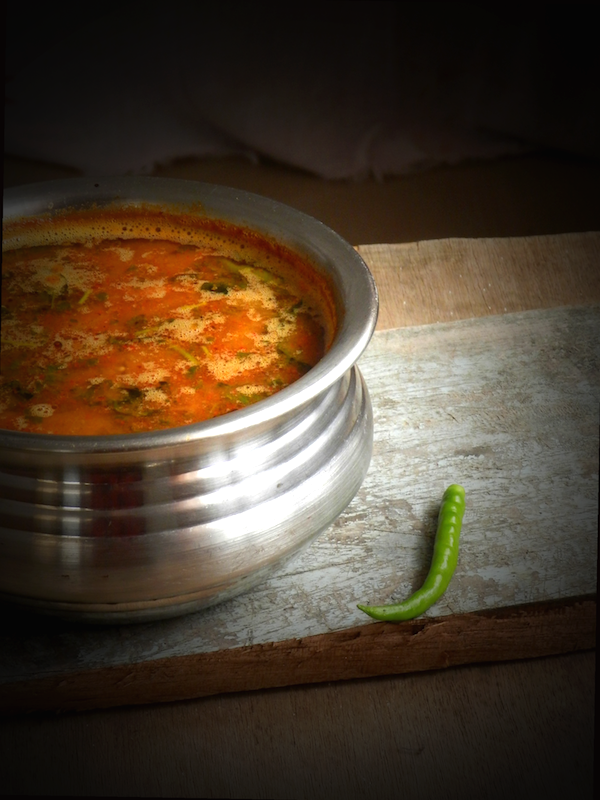 It is the same rasam you are looking for. This has to be one of your best write ups. In my view you have earned your respect as a wonderful and best food writer. Your words unfold a lot of your hidden feelings you have towards everything in your life. I have visited this temple many times and whatever you have written is apt and very very true. The Food is amazing here. Made for the Gods. I just made the rasam powder last evening. I made the rasam for today’s meal. I must say it turned out very delicious. The measurements were perfect. One suggestion, You can add a small amount of Hing to the powder too. Very divine and satvik rcipe this is. God bless. Please post more such traditional recipes from your hometown.